This past weekend I covered the NCAA men’s hockey regional games at the Resch Center here in Green Bay. All three games weren’t high scoring games but they all did come down to the wire especially the Michigan vs Cornell game Friday night which went into overtime. All in all Ferris St. came out on top to advance to the Frozen Four in Florida. This was my first time covering hockey and it was a blast. Hopefully down the road the NCAA will continue to have Green Bay as one of the sites for the tournament. Here are my favorite shots. Thanks for looking. 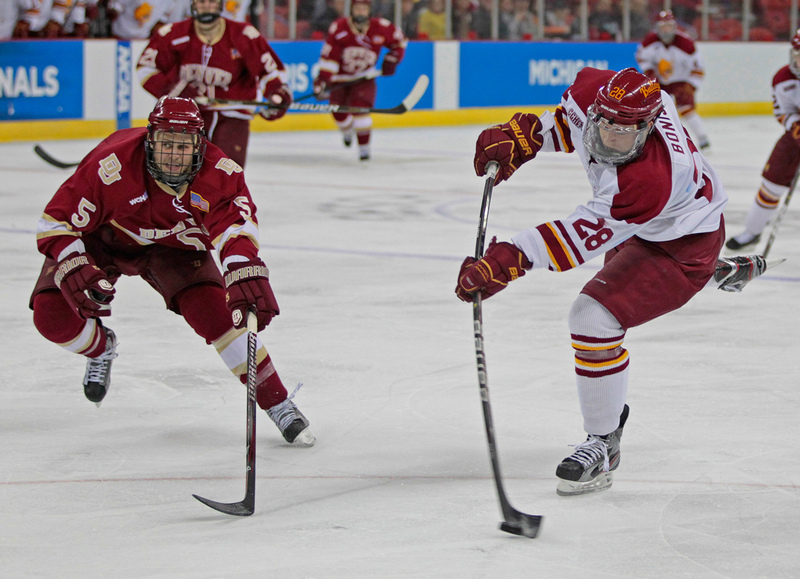 Ferris State’s Andy Huff moves the puck past Denver’s Scott Mayfield during the first period. 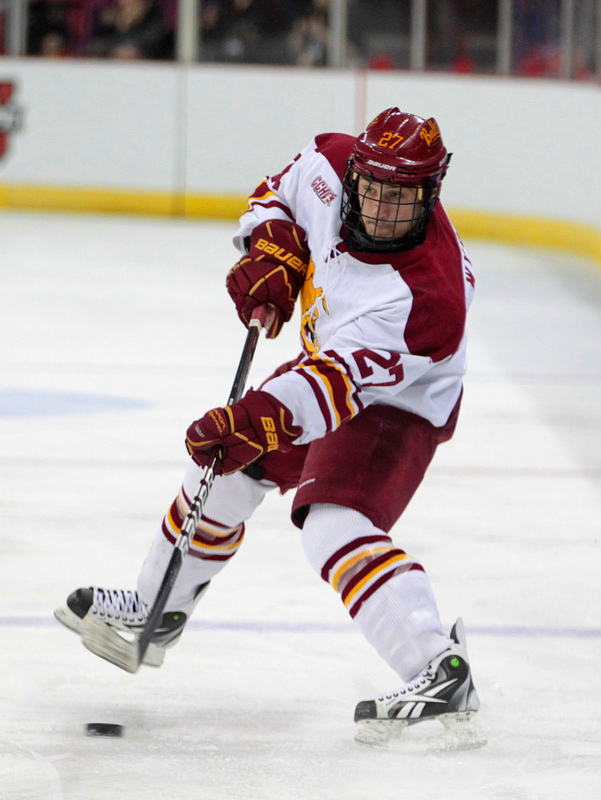 Ferris State’s Brett Wysopal takes a shot during the first period. 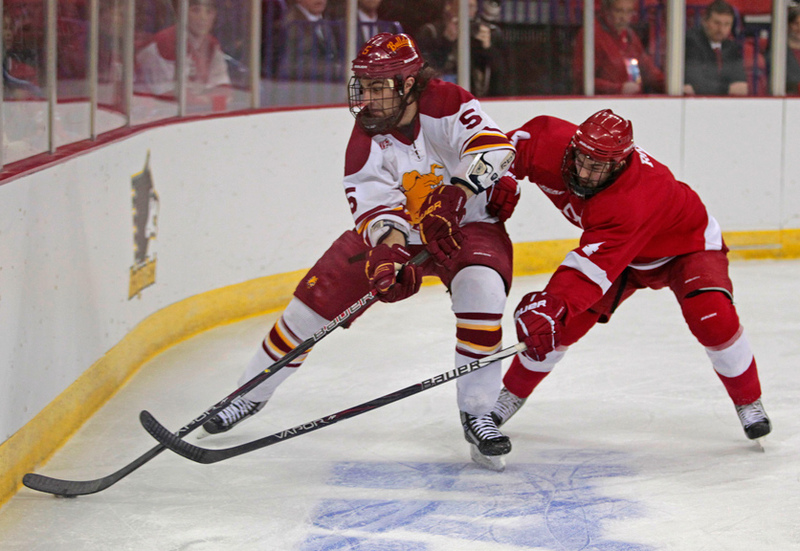 Ferris State’s Simon Denis and Denver’s Larkin Jacobson work for the puck during the first period. 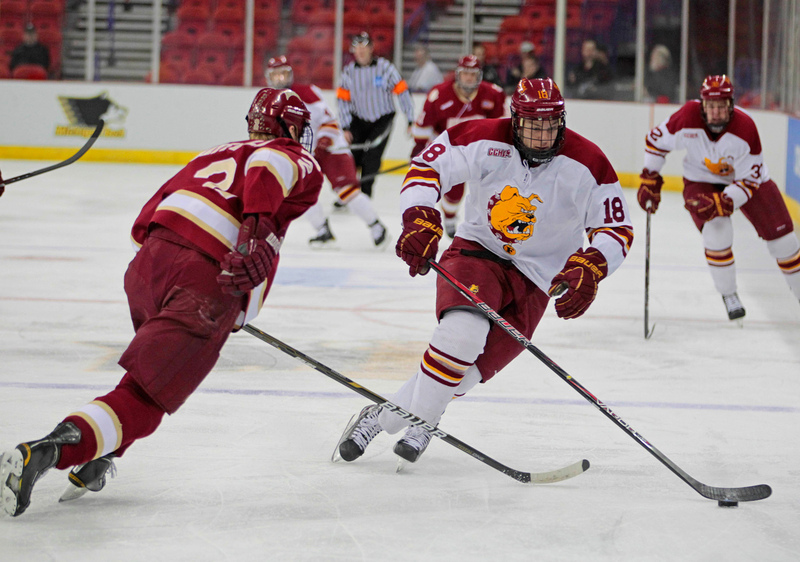 Ferris State’s Jordie Johnston (11) scores against Denver during the second period. 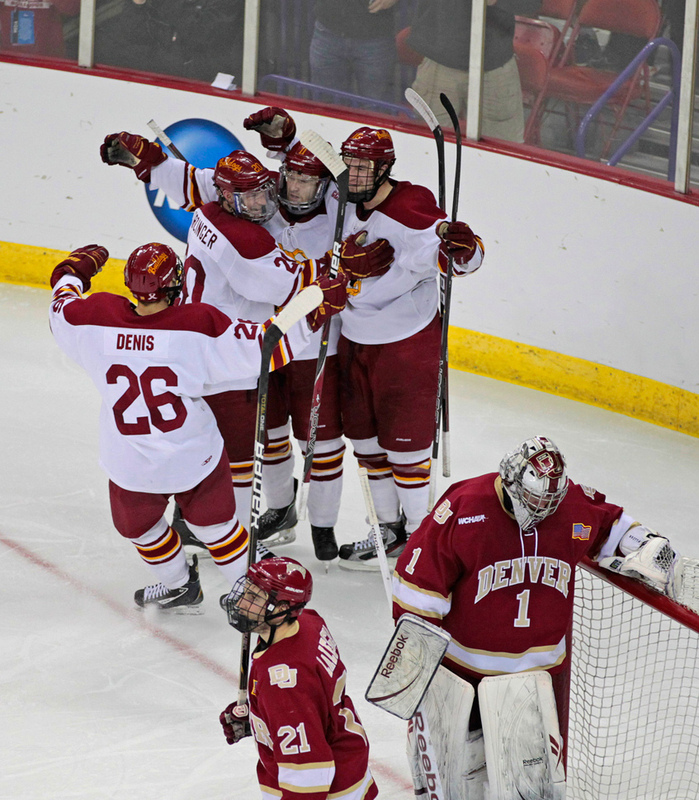 Ferris State’s Jordie Johnston celebrates with teammates after scoring a goal against Denver during the second period. 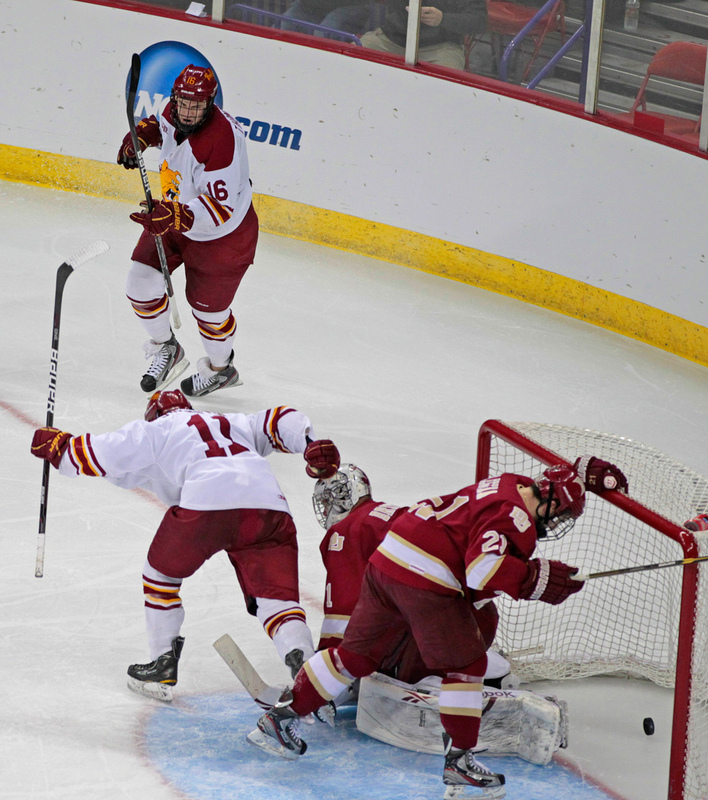 Ferris State’s Goaltender Taylor Nelson makes a save against Denver’s Jason Zucker during the second period. 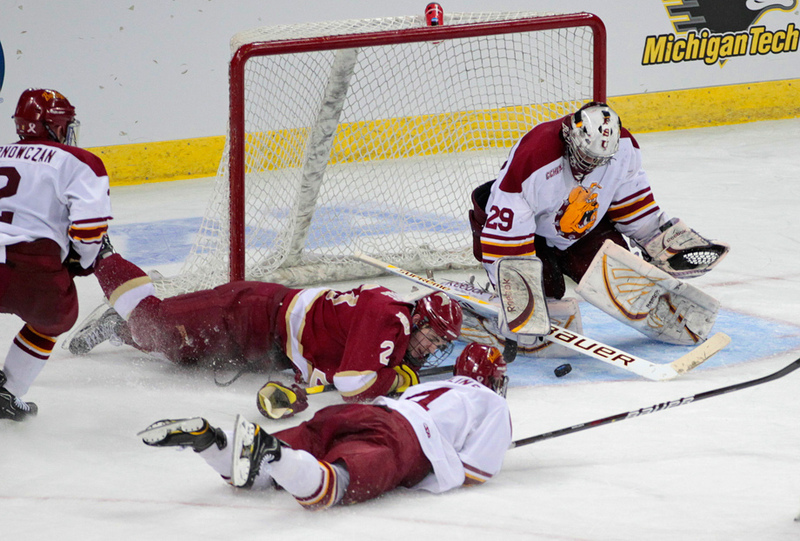 Ferris State’s Goaltender Taylor Nelson makes a save against Denver’s Nick Shore during the second period. 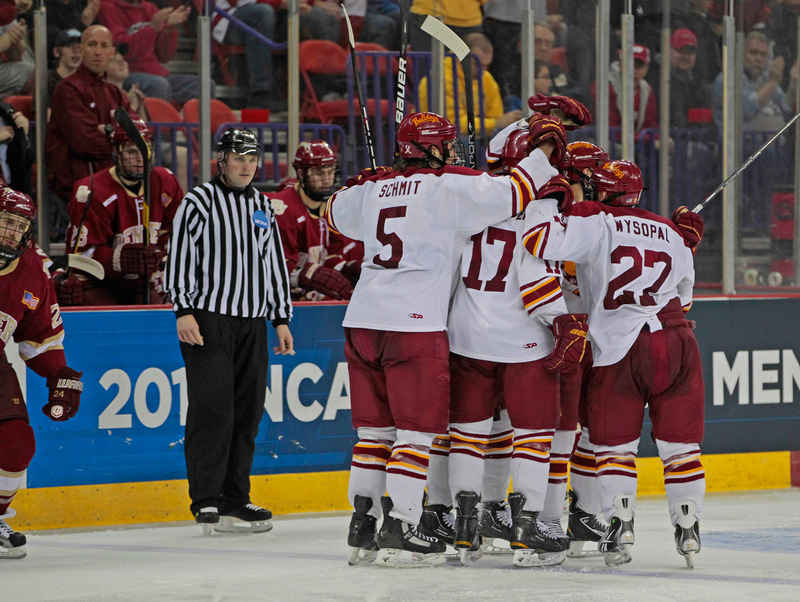 Ferris State players celebrate after scoring a goal against Denver during the third period. 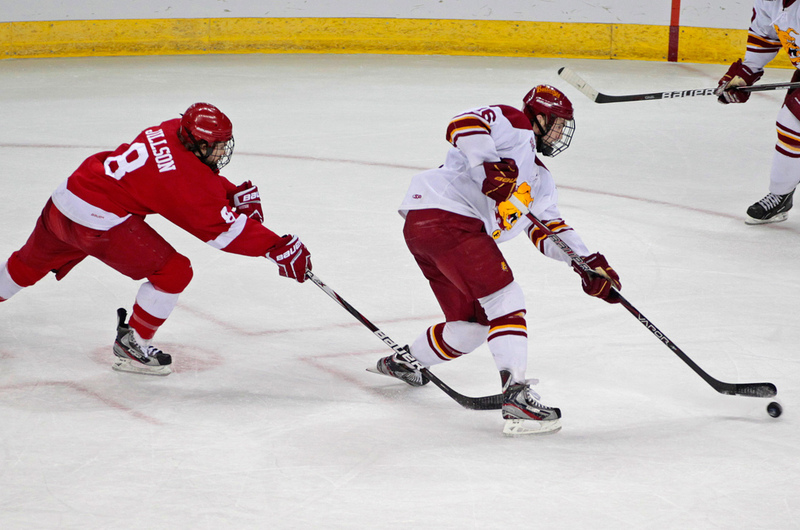 Ferris State’s Kyle Bonis shoots the puck while being defended by Denver’s John Lee during the third period. 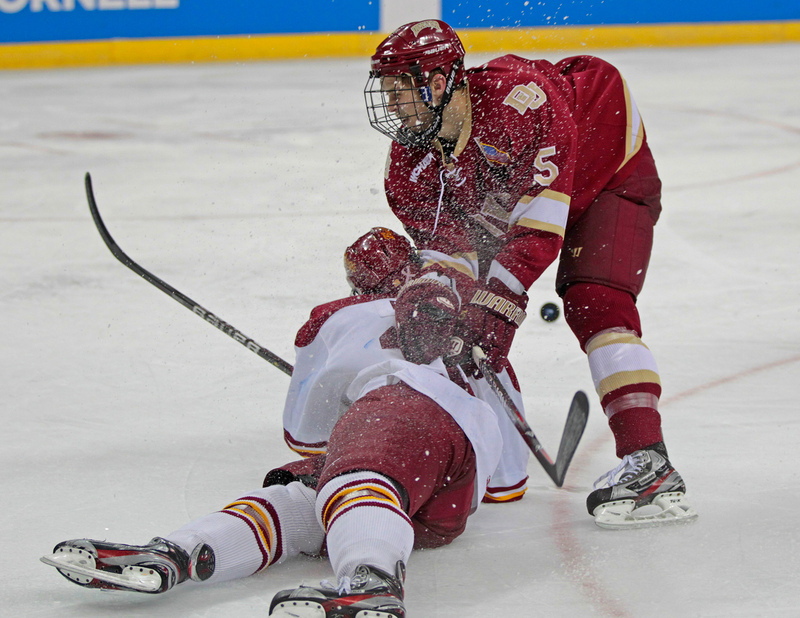 Ferris State’s Kyle Bonis gets taken to the ice by Denver’s John Lee during the third period. Michigan’s Luke Glendening scores while being defended by Cornell’s Joakim Ryan and Dustin Mowrey during the first period. 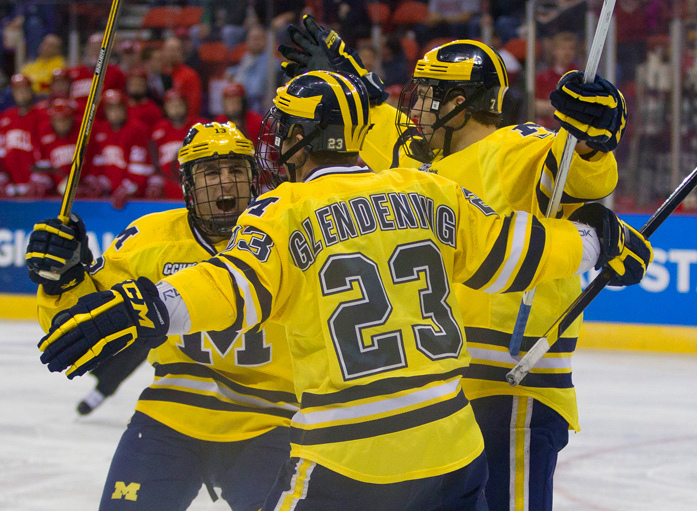 Michigan players celebrate after scoring a goal against Cornell during the first period. 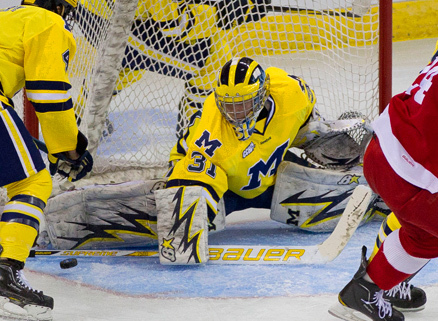 Michigan’s Shawn Hunwick makes a save against Cornell during the first period. 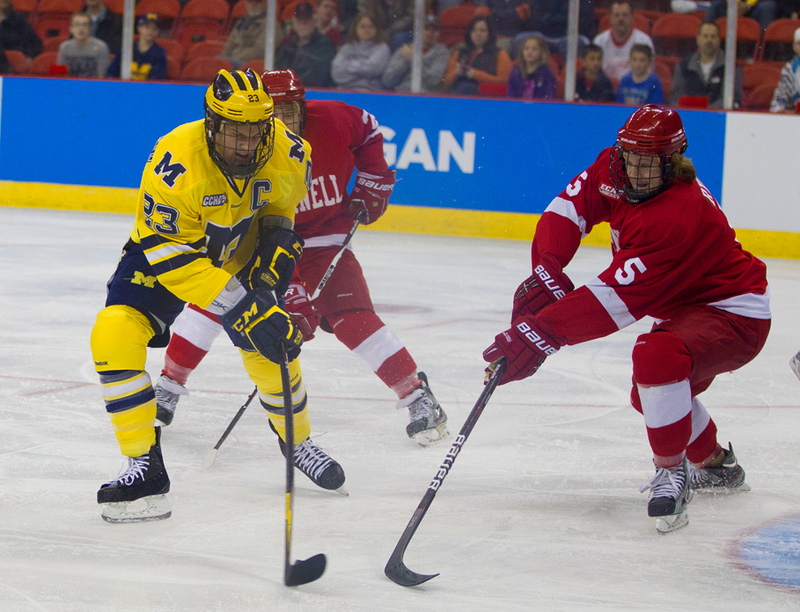 Michigan’s Greg Pateryn looks to pass the puck against Cornell during the second period. Michigan’s Jeff Rohrkemper is hit by Cornell’s Dustin Mowrey during the second period. 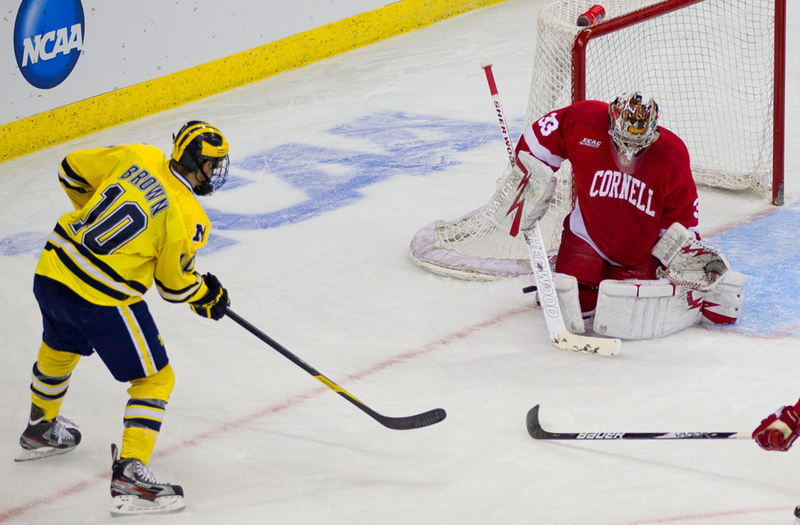 Michigan’s Shawn Hunwick makes a save during a penalty shot by Cornell’s Locke Jillson during the second period. Cornell’s Goaltender Andy Iles makes a save from a shot by Michigan’s Chris Brown during the second period. 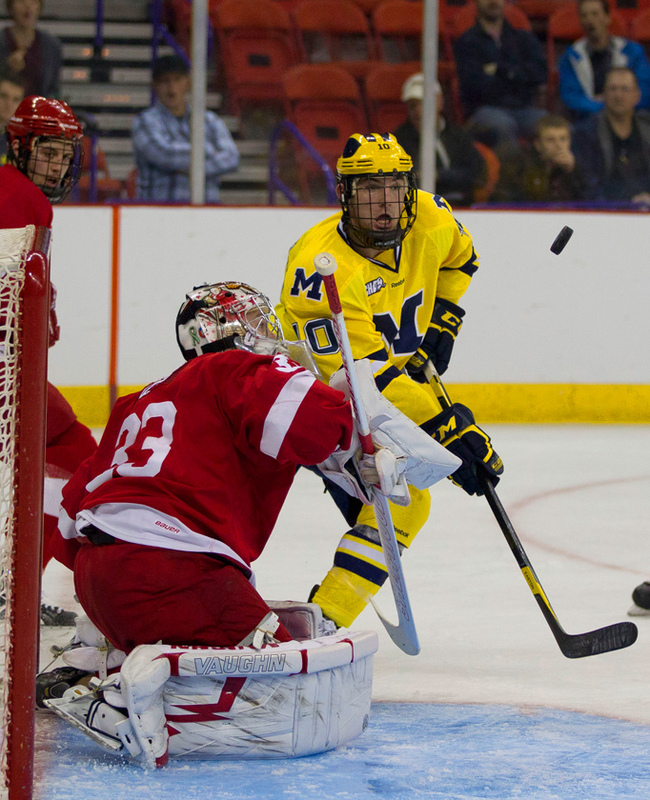 Michigan’s Chris Brown shoots on Cornell’s Goaltender Andy Iles during the second period. 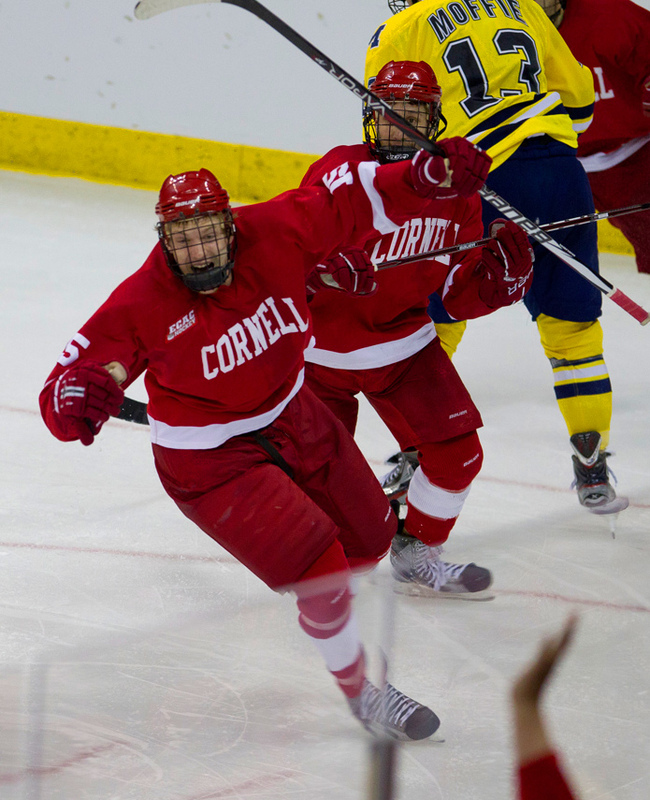 Cornell’s Rodger Craig celebrates after his team scored a goal in overtime to beat Michigan. Michigan’s Luke Moffatt (9) and Jon Merrill skate off the ice after being defeated by Cornell in overtime. 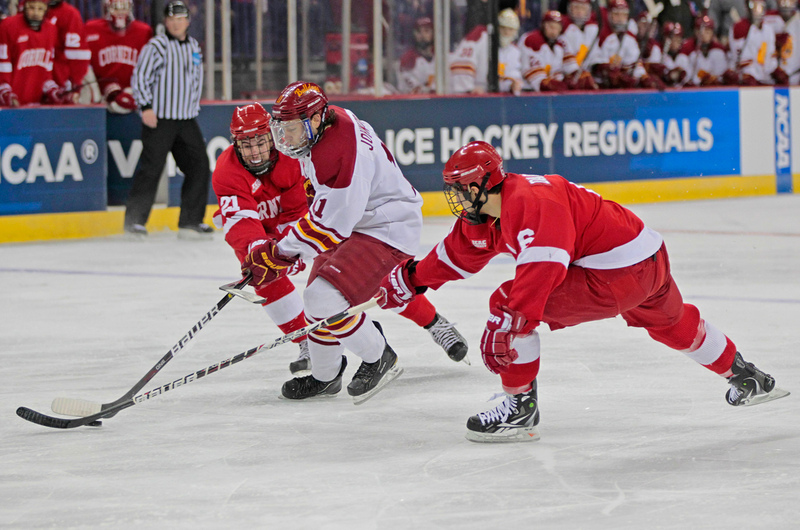 Ferris State’s Jordie Johnston tries to advance the puck past Cornell’s Erik Axell and Nick D’agostino during the first period. 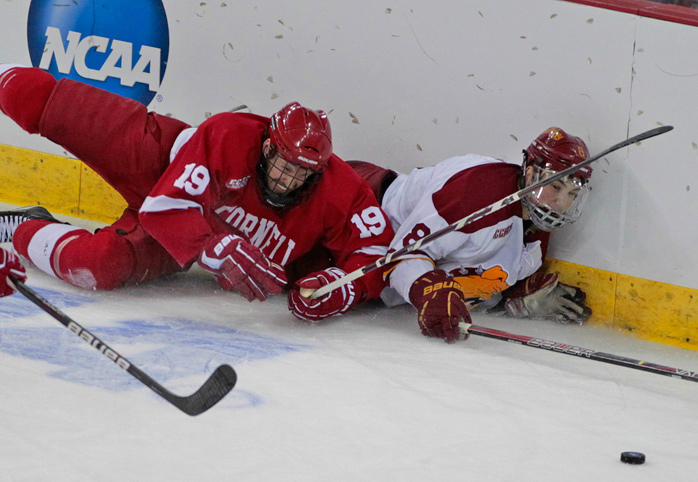 Ferris State’s Aaron Schmit and Cornell’s Keir Ross fight for the puck during the first period. Ferris State’s goaltender Taylor Nelson makes a save on a shot by Cornell’s Locke Jillson during the first period. 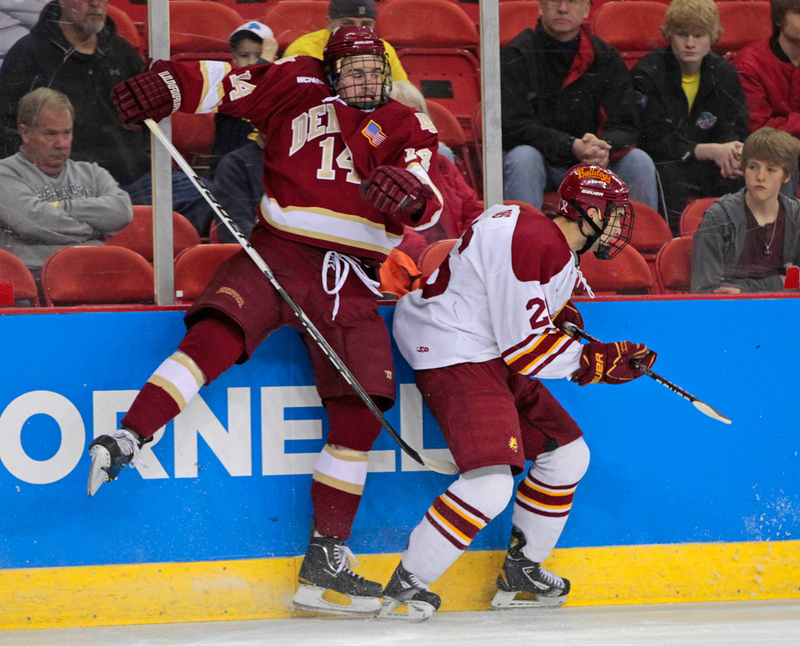 Ferris State’s Garrett Thompson takes a shot while being defended by Cornell’s Locke Jillson during the second period. Ferris State’s Cory Kane and Cornell’s Sean Whitney get caught up along the boards while going for the puck during the second period. 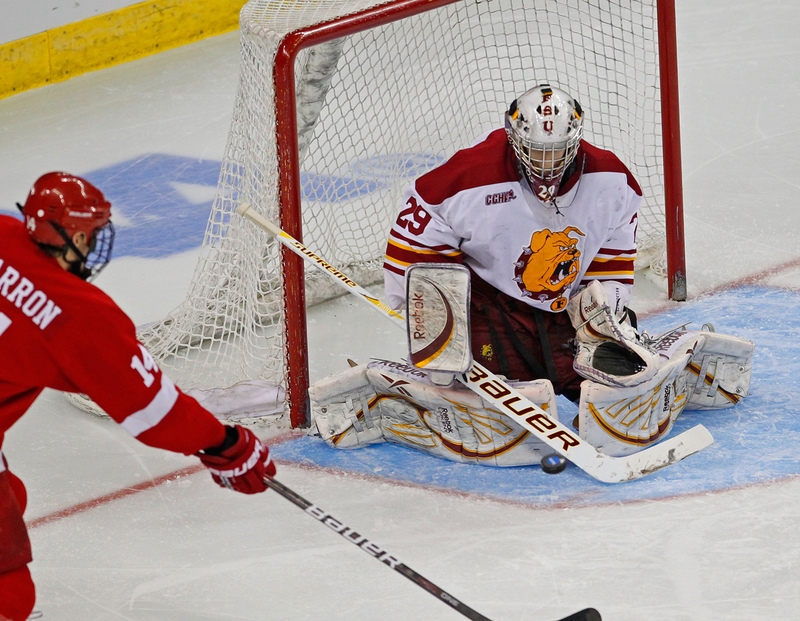 Ferris State’s goaltender Taylor Nelson makes a save against Cornell during the second period. 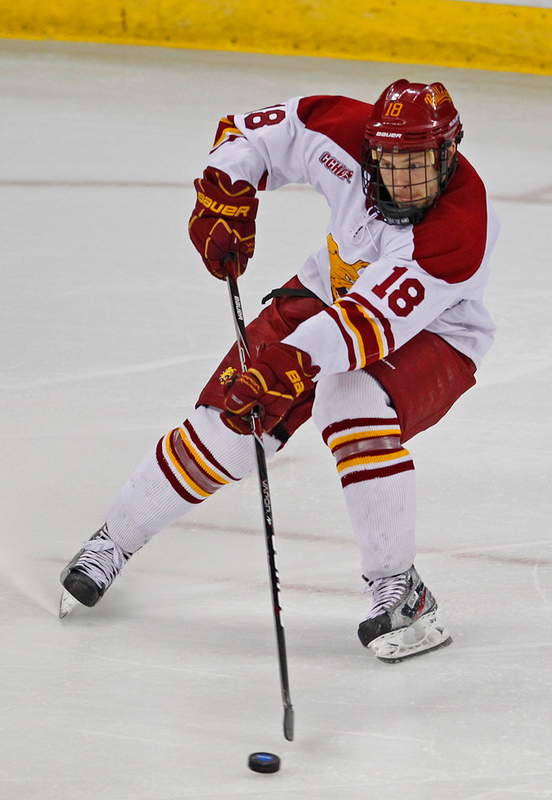 Ferris State’s Andy Huff takes a shot against Cornell during the third period. Cornell’s goaltender Andy Iles watches a puck go in the net shot by Ferris State’s Jordie Johnston during the third period. 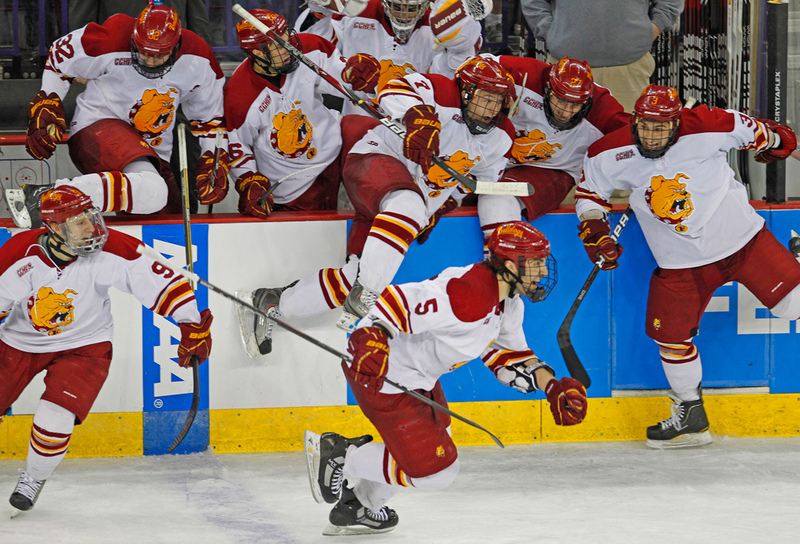 Ferris State players leave the bench to celebrate their win over Cornell. 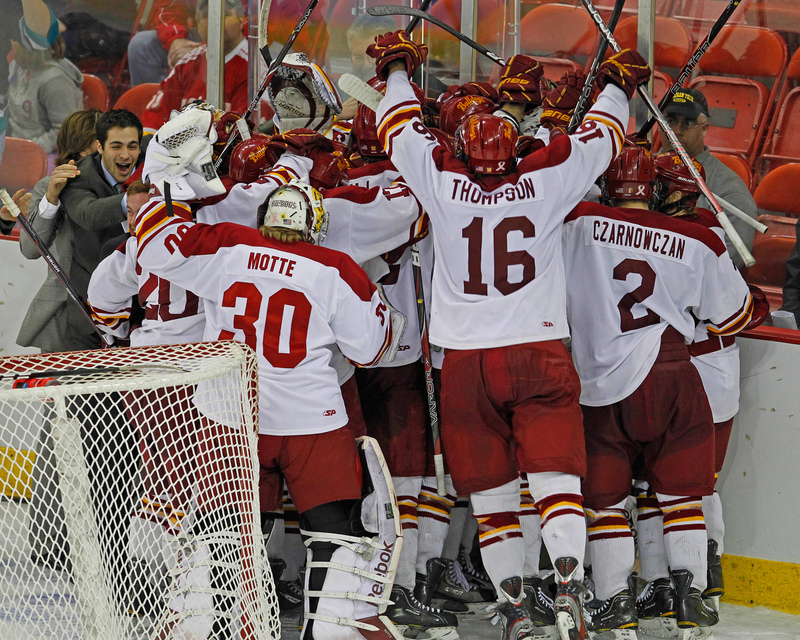 Ferris State players celebrate their victory over Cornell. This entry was posted in Uncategorized on March 27, 2012 by ludtkephoto.